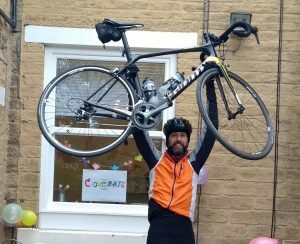 1000 MILE CYCLE CHALLENGE COMPLETE! 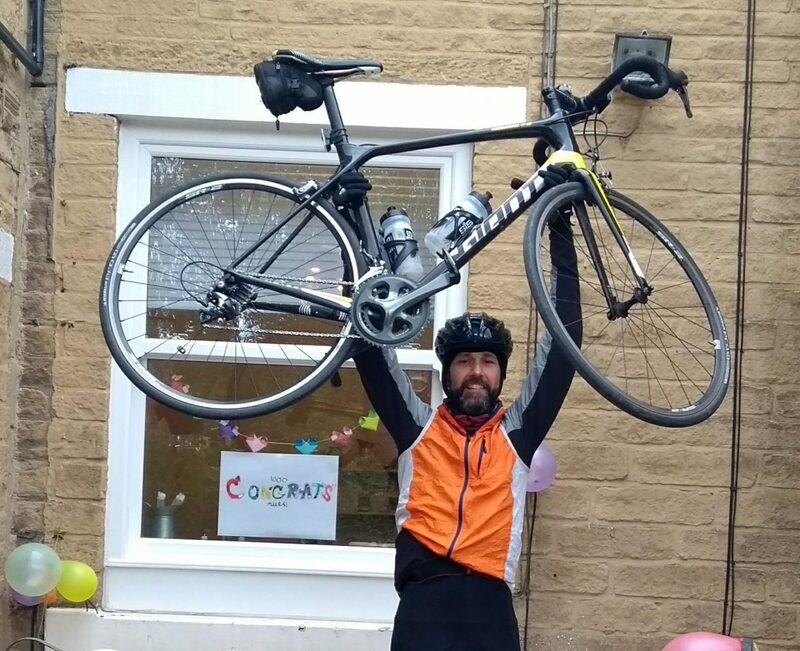 On Sunday, following an arduous 8 hours in the saddle, our fees clerk Stuart successfully completed his British Red Cross cycling challenge. His final day took him on a 103 mile ride through some of the most beautiful – but lumpy – countryside that Lancashire and Yorkshire have to offer. 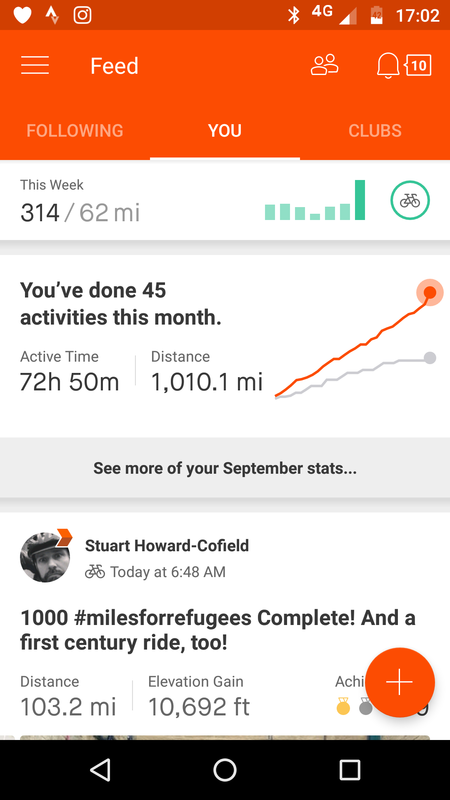 Stuart’s aim was to ride 1000 miles in September for the Red Cross #milesforrefugees campaign. A thousand miles represents the distance that a refugee fleeing Damascus would travel to reach Athens. Yet, even once refugees have fled their homes to safety, their difficulties are not over. The Red Cross help refugees adjust to life in the UK. Their support ranges from providing emergency provisions for those facing severe hardship to helping to reunite families. 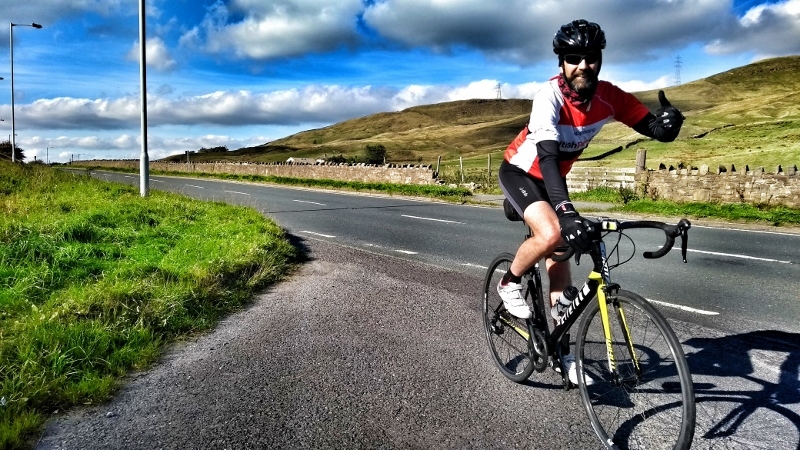 This September, they asked supporters to go the extra mile in order to help raise funds. 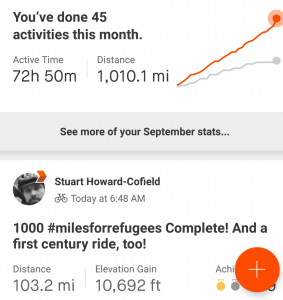 8 hours, 103 miles, and 4000 calories later, Stuart had reached the total of 1010 miles ridden in September!